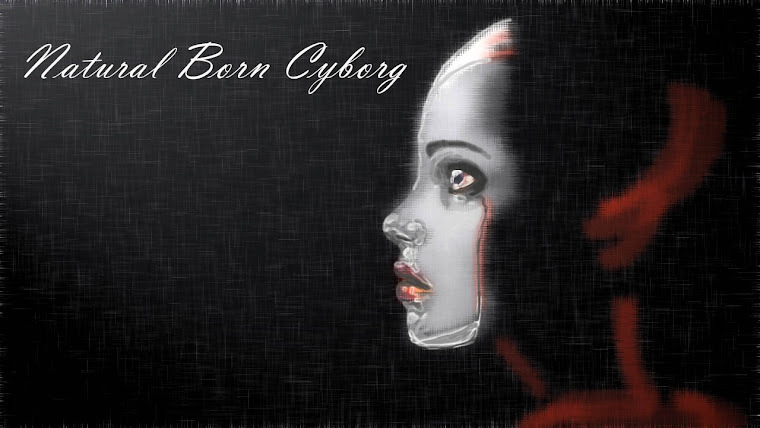 Natural Born Cyborg: Diabetes Blog Week... THWARTED! Well, seems like Lungs got jealous of this weeks spotlight on Defunct Pancreas and decided to rebel. On the weekend I stayed at a friends house, looking after their kids while they went out. I started feeling kind of wheezy and my airway started kind of constricting. I'm allergic to a lot of frangrance and this has happened before. Usually, once I get away from whatever it is that is bothering me, the difficulty breathing dies down. But it kept going... for one day... and then two days... and then on the third day, I started scaring my co-worker with my gasps for breath throughtout the afternoon. I got home and it got worse. The steroid inhaler that I take everyday wasn't helping. I finally decided it was time to haul out the Ventolin, but it did nothing to help either (except annoy Defunct Pancreas and raise my bloodsugars). First thing- visit triage nurse. They are generally grumpy creatures. I don't really blame them; they're the gatekeepers and I imagine they get bugged a lot, but at the same time it is kind of annoying to be the patient on the receiving end of their grumpy... especially when you can't breathe. She looked at my last name and said "Well, that's a weird last name." Then she reached my first name and said, "Oh, well, that's a weird first name so." She didn't comment on my middle name... because it is run-of-the-mill anglo-saxon? Don't know... Anyway, when I told her I was having trouble breathing she told me I seemed to be able to talk just fine. In my mind, I responded something like "Right. I'm just effing with you, 'cause sitting around in the ER is much more palatable way to spent my night than sleeping in my warm bed." In real life, though, I just said, "Oh, it's just my airways feel really constricted." 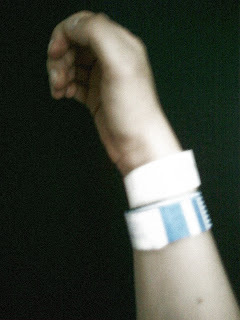 Eventually, I got the wristbands and got to sit back down in the (aptly named) waiting room. I'd been through this before and knew that if it being around 11pm when I arrived and not being in any sort of acute/dire emergency, I'd be leaving aroun 5am. I hunkered down and started to read school stuff. South Park was on... then some cosmetics advertising show... then Anderson Cooper... then... I don't remember. At some point I got called in to sit on a bed for about twenty minutes before seeing a doctor. X-rays were good though! They let me look at them and the doctor pointed out what all the different parts of the images were... I liked seeing my heart in the middle (well, technically, slightly to one side) of my rib cage. That plus all the bones looked pretty together and I was glad to see that my insides didn't look nearly as bad as I felt they did... In the end, the doctor said that some of my lymph nodes were swollen and she suspected I was getting a cold, which exacerbated my allergies/asthma. She sent me home with a new Ventolin puffer at a higher dose. I had to take four puffs while I was there, before I left. Which, on my way home, led to me hack up a tonne of grossness that had been trapped in my lungs. Sounds icky, but it was the best feeling afterward. I was back home and in bed by 5am. I thought that was pretty good time. I'm still not breathing the best, but am not to the point that I'm whistling through my throat/seeing stars... Oh, and I did end up getting that cold (high-five best ER doc ever!). I'm hoping when it passes, things will go back to (my) normal. So, that's the story of my jealous Lungs and their attempts at glory. Sorry about missing out on the scheduled posts... But just to teach Lungs a lesson, I plan on completing them anyway over the next week. Glad you are ok. I can't imagine feeling like you can't breathe. Oh my gosh, I am so sorry! I am glad you are feeling better.